At Yardsmith, Lawn mowing and Snow Removal are our most-popular services. We service small city lots as well as larger suburban properties both residential and commercial. We appeal to seniors, singles and busy professional couples, as well as business owners. Yardsmith does not claim to be the lowest-price service in the Syracuse area; nor are we the most expensive. Our rates start at just under $20 per service call. We usually hire employees with considerable experience in lawn maintenance and / or snowplowing and snow removal. We pay our employees a livable wage and provide benefits. This pushes up our costs somewhat but results in a low staff turnover and therefore high reliability in servicing our clients. Our typical employee has been with Yardsmith for five years. Mowing service can be paid for either through a season-long contract (most affordable) or per visit, with bills sent monthly. Temporary vacation service is also available, subject to our workload. 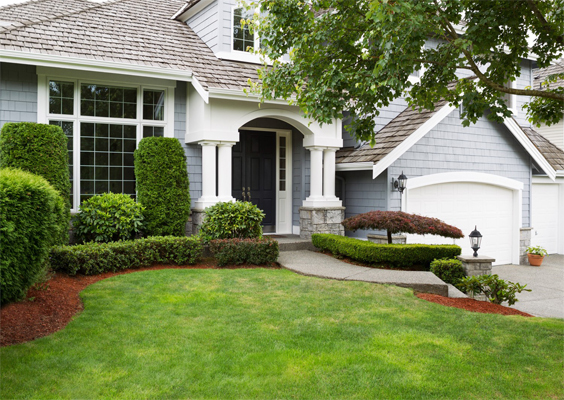 In addition to mowing, we apply mulch, trim shrubs and hedges and remove or install plantings. We also offer a fertilizer and weed-control program, with two licensed pesticide applicators on staff. We do not design landscapes but can implement a landscape designer's plans. Mowing takes precedence over other services. In periods of high demand or rainy weather, your request for additional services therefore may be delayed. Accessible turf areas mowed per customer service agreement. Grass clippings are mulched when possible, composted on site, or removed to an organic waste recycling center. Turf areas adjacent to curbs, sidewalks, driveways & patios trimmed. Edging performed at start of service each season and maintained through the year. Sidewalks, patios, porches & driveways blown with each mowing. 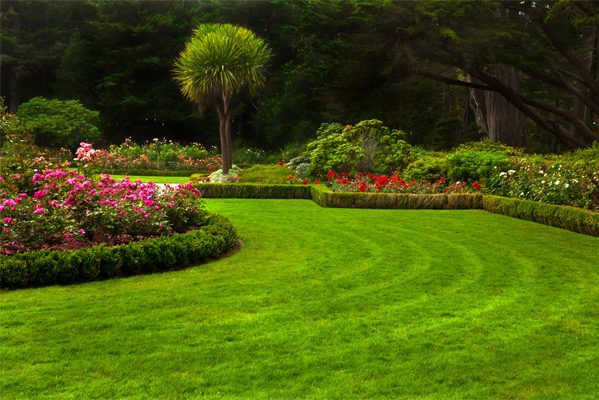 In early Spring we clean up winter debris and leaves from beds and related areas, cultivate and spade edge all beds, cut back appropriate perennials and grasses, hand rake turf areas and edge all walkways. We will spot seed bare areas with high quality seed and compost. If you are using Clean Air’s compost service we will harvest mature compost from your bin and build your bin anew with the materials gathered at the clean up. In the Fall we remove debris and leaves from lawn and related areas bi-weekly throughout October and November. Beds will be cultivated and spade edged once during the fall season. When appropriate perennials will be cut back as they fade. If you are using Clean Air’s compost service we will shred as many leaves as possible from your property and put them in your compost bin and garden beds keeping the nutrients on your property and the materials out of the landfills. Weeding and debris removal will be done in the planting beds throughout the season. We will spade edge beds once during the summer and trim and prune hedges, bushes and small trees (under 10ft) in the Spring and Fall. The beds will be kept clean, trim and looking nice throughout the season. A high quality mulch will be delivered and installed in your garden beds. Several different mulches are available based on your needs.